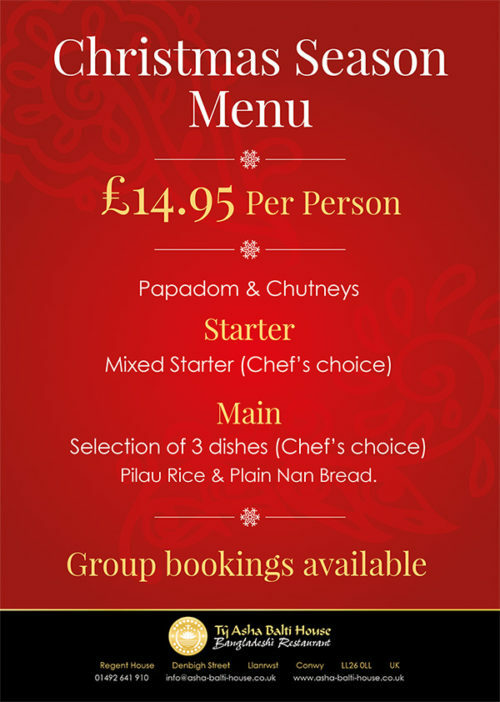 To help you celebrate the festive season in style, Tŷ Asha Balti House has a special Christmas Season Menu. Pilau Rice & Plain Nan Bread. To find out more, please call us on 01492 641 910, or email us at info@asha-balti-house.co.uk. To make a booking, please use the form on our reservations page or use the contact details above. We looking forward to seeing you soon and helping your celebrate during the festive season!